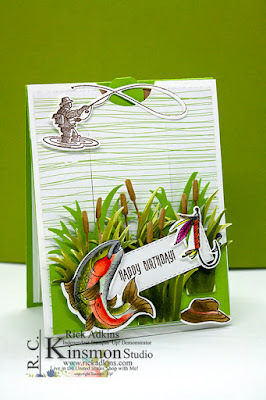 Hello and welcome to my blog; today I am going to share with you a fun masculine card that has a little secret! 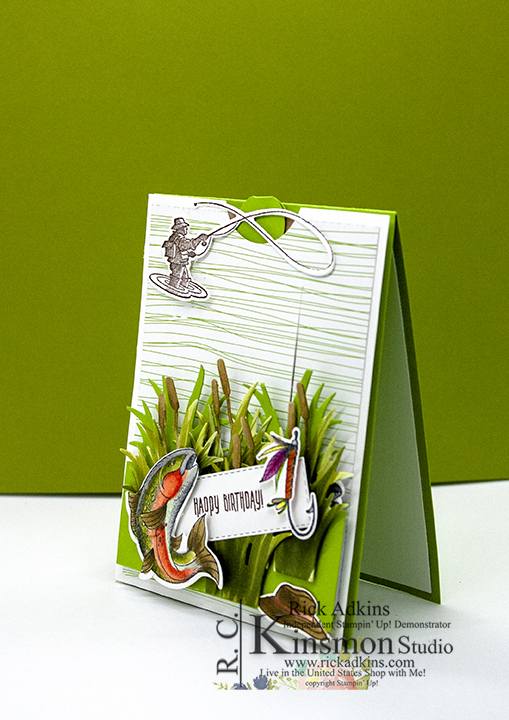 The recipient will love this card that is filled with masculine charm. If you have a fisher man in your life you will differently want to grab this bundle before it's gone. I came up with fun colored card for you today, it actually is my favorite types of cards, looks very impressive but actually pretty easy to put together once you have seen it one time. 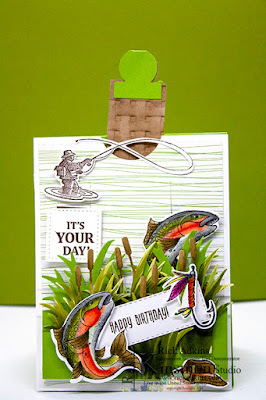 I will be sharing with you this afternoon on my YouTube Live at 4:00 pm CST how to create this very card. 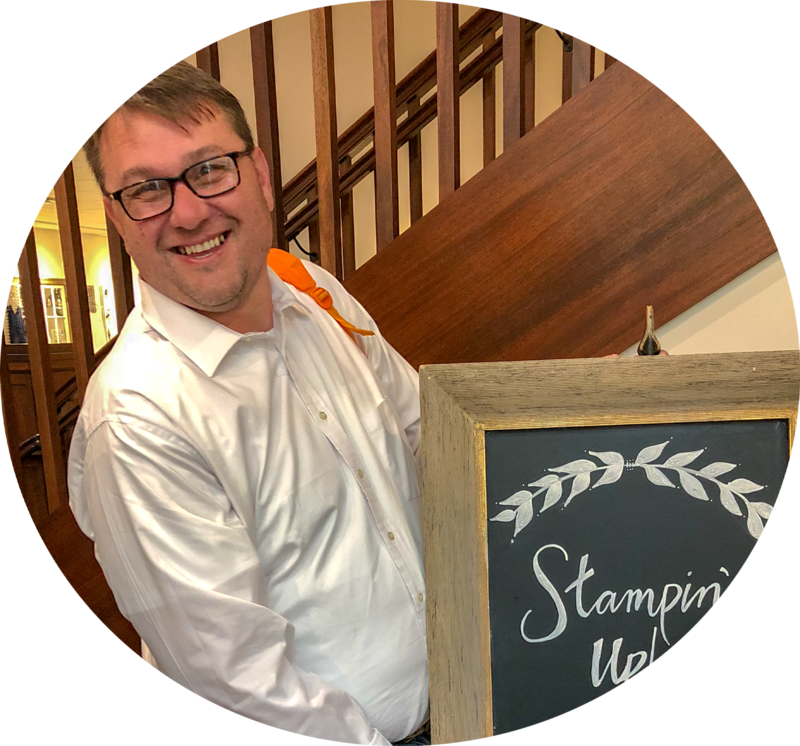 So you will want to catch me there to see just how I created this card. This was actually a very fun card to do; it is a little time consuming with all the die cutting and coloring. 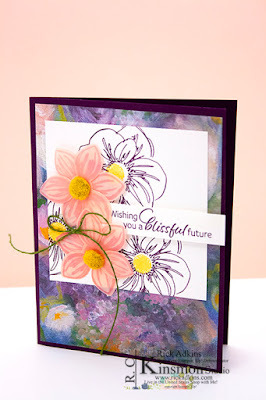 I started out my stamping all the images that I was planning on coloring in tuxedo black ink. I then stamped a few images in early espresso ink including both sentiments. This I found spread up the process. 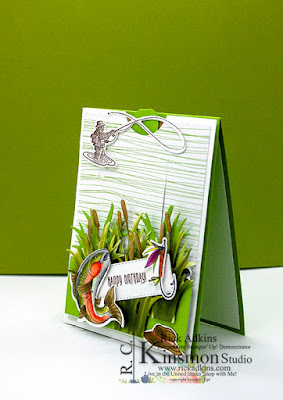 Another little trick to speed things up is instead of cutting all the cattails out of different colors and paper piecing them together, why not just color them out of whisper white cardstock and just color them all with your stampin' blends. This way you can have whatever card stock you want with having to cut each color and then cut out each little piece and piece them back together to get the look that I got here. I stamped the Happy Birthday Sentiment in Early Espresso on a piece of whisper white cardstock. 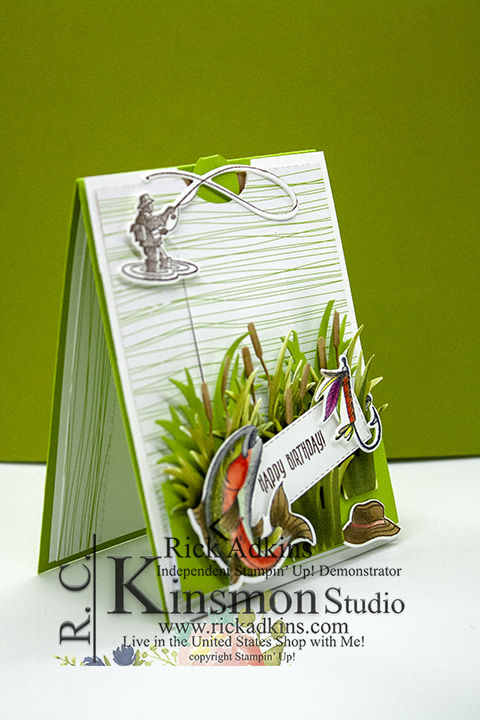 The sentiment came from the Picture Perfect Birthday Stamp Set from the Annual Catalog. I then used the stitched rectangle dies to cut it out. I then added another fish to the front along with the hat from the stamp set (which was colored with stampin' blends) and the fishing fly. This finished off the card lovely. 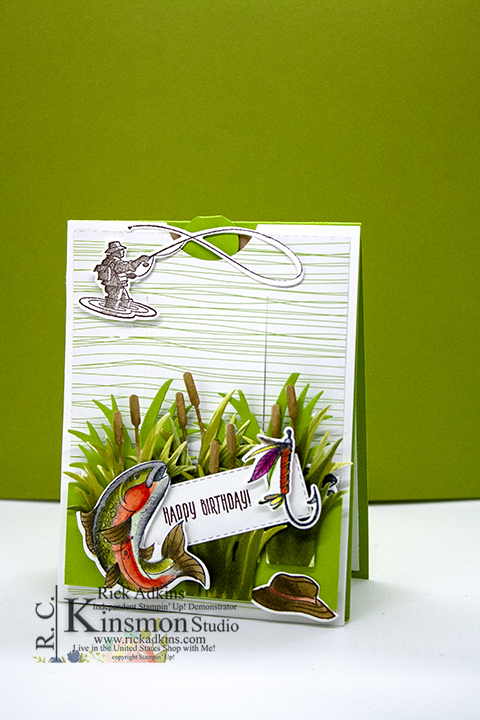 This is such a fabulous card, Rick and your colouring of the fish is stunning! You have something somewhere that explains it? @desiree you can search YouTube to see how to do it it’s a little hard to explain without seeing it.